Parents can support young learners in discovering their needs and gifts. I often hear from parents who are discouraged about their child’s learning progress. Sometimes they’ll tell me that their youngster is bright, and that he or she shows interest in learning at home during weekends or vacation time. Yet at school, they say, that same child is bored or struggling, slower than others in completing work, looking for ways to avoid assignments, and—once home—often stalling on homework or forgetting to do it. In any case, when parents make an appointment with me for a balancing session, I tell them that the ideal situation is for me to work with the whole family on the first visit. I explain that there will be “homeplay” for the whole family to do together. Homeplay, usually drawn from the Brain Gym® activities, is not something that the child does because he has a learning problem, or that he should be required to do. The purpose of these activities is for everyone to move and play together, becoming more balanced as a family, and research shows that synchronous movement is one vital way by which we connect with our surroundings and create social bonds. Most parents understand, and are delighted to participate. Often, during that first balance for their child the parents themselves make profound shifts in their own ability to read, write, relate, or organize—shifts that exemplify for the child what learning can be like. Through such experiences, parents gain insight into the sensory skills actually involved in the learning process, and so develop empathy for the challenges their child is facing. 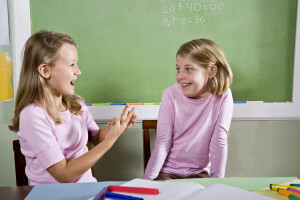 Often a parent discovers that he or she has the same mixed-dominant(1) learning profile as the child, and discovers how to more effectively use this pattern. I might also share with them the finding that, in a study done with 461 high school students, 80% were found to be weak or inadequate in one or more of three key visual abilities(2). Now parents can better understand why moving and accessing the whole body is essential for addressing one-sided habits, and they can advocate for their child’s gifts and abilities, as well as their own. Nearly always, the whole family discovers how much fun it is to move together, lengthening muscles or dancing around with The Cross Crawl; mirroring one another with The Double Doodle, drawing soothing shapes on one another’s backs, or self-calming with Hook-ups or the Positive Points. I’ve found that, when the parents are aligned and in balance, the children immediately do better—even before I work with them individually. I believe this is at least in part because stress contracts muscles and restricts movement patterns, and children imitate a parent’s body posture, whether that posture appears dynamic or stressed. 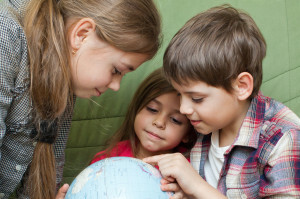 Most often, in one to four sessions a child will no longer feel left behind in his classroom. At schools where I’ve served as a consultant, I’ve found that, when the teachers are balanced, the students attend and focus better. If the teachers are stressed, the students will act out. A child can do his best when he knows his parents hold a neutral space for his learning. For more than forty years, I’ve worked with those of all ages who have been diagnosed with such labels as dyslexia, dyscalculia, autism, Asperger’s syndrome, and learning disabilities—and even with children as young as nine months who were “failing to thrive” or slow to crawl. I’ve worked with children one-on-one, with their parents or caregivers participating or looking on, and also during courses, teaching the children in front of a group of adult students. While teaching in Europe, I’ve had parents talk with me about a son or daughter who, they said, was hopelessly far behind and completely unable to learn. I’ve done balances with these same young people, teaching them simple Brain Gym, Vision Gym®, and other Edu-K activities, and have seen them discover how to learn on their own—often in that single session. Movement is a language in itself, one that somehow communicates beyond culture and instructional translation. Once youngsters realize how they can bring attention and movement to their learning process—purposefully waking up their eyes, ears, and whole body to the joy of learning—they begin to transform not just reading, writing, and math, but also how they interact with family members and friends. I ask people what they want to improve. Human beings are natural learners. But when they are overwhelmed by what they can’t do, or by analysis and information, they often forget their own interests. When we can support a person in rediscovering her innate curiosity, she naturally regains the confidence and motivation to explore the world and reclaim her place as a ready learner. I help learners to identify a next learning step—the specific aspect of the learning process that is challenging to them, and to understand that aspect in terms of underlying physical skills. I help a child to focus on that aspect only, until it has been mastered and integrated into the child’s functioning. Learners’ joy and pride in learning a specific ability is exciting to behold. They can readily see the commonsense logic of developing the physical skills needed for learning. This approach helps alleviate the shame and blame—any perceived need for judging skills or their lack—that has so often become associated with learning. From this more neutral place, children are able to appreciate the simple movements that help them experience the physical skills of learning and that give them the time to integrate these into function. Learning is a lifelong process. Yes, it has its accompanying frustrations and difficulties. The pleasure is in turning such challenges into capabilities. Every person has within himself all that he needs to experience success, happiness, and the joy of learning. Through the years, I’ve developed many learning models, sequences, and protocols that support this movement-based approach. These include the Dynamic Brain (a working model of the brain), the Learning Flow (that makes visible “the high and the low gears” of learning), the 5 Steps to Easy Learning, and the 3 Dimensions and 5 Principles for Movement-Based Learning. I love teaching parents and educators how to do what I do. There’s nothing more wonderful than seeing the light go on in a young person’s eyes—or in the eyes of any learner, at any age! Learning is defined as the acquisition of knowledge or skills through experience, practice, or study. Learning depends on the ability to not only take in new information, but to also successfully transfer it from one subject area (such as spelling) to another (such as reading), and even to completely new territory (perhaps story writing), an ability that depends on skills of movement. Yet only recently are educators coming to recognize movement as the learning vehicle that it is. Educational programs have overemphasized declarative knowledge, which focuses mainly on the taking in of information, as learning itself. Without procedural knowledge—learning that is movement based—students are unable to apply what they know to new situations. Most often, any academic program at school has been separated from physical education. One essential task of skilled teaching is to join and create harmony between the mental and the physical—between declarative and procedural knowledge. Learners access declarative knowledge by use of words . . . by reading, thinking, and conversing. Yet it’s the procedural knowledge that gives us the physical maps to practice, experiment, and bring the new learning into our muscles and movement patterns. In Edu-K, we emphasize the procedural and start with the physical. We use simple physical activities as the primary context for acquiring new experience, as well as the vehicle for transferring new learning. These are purposeful activities, most taking about 30 seconds to do; not simply exercises or random movements. Most can be done while sitting, or when standing by a desk. Once children learn the movements, they can use them on their own, as needed. For example, we might do the Thinking Cap from the Brain Gym® activities, unrolling the ears from top to bottom three times, to teach the auditory skill of making a spelling distinction. When both ears are open, the sound of the spoken word pen will be more distinct from the sound of pin. We might then use the Thinking Cap again to help learners transfer that skill of auditory discrimination to better enjoy the sounds of language when reading. Having both ears open allows for a greater sense of the lyrical flow of words, along with their meaning. Once again, we can scaffold this learning by having students listen to their thoughts while writing creatively. In other words, movement-based learning uses physical function as a way to bring learners’ attention to an experience of their senses as they engage in the learning process. The educational theorist Jean Piaget described the learner’s cognitive structure as beginning with concrete operations, then moving to image-making, and finally to abstractions. In Edu-K, we find that the learner’s development of an internal map of the body gives the concrete experience essential to ease of function. This internal map includes feedback from proprioceptors, the “brain cells” in the muscles, an awareness of the relationship of joints to bone, an internal awareness of balance and directionality, and an ability to stand aside and notice or observe these functions. The learner is asking, in a pre-cognitive way: Where am I in space? Where is one thing in relation to another? The answer to these questions is given only through movement. The answers pave the way for explorations of What are these different elements of the world around me? And who am I in the world? Through movement, the learner discovers how to notice, cultivate, and enjoy his own sensorimotor patterns instead of overriding them, abstracting his experiential learning into image and words. He begins to initiate and integrate his own self-directed learning, developing skills of feedback, feed-forward, and self-control. Integration of procedural and declarative knowledge results in knowing how to learn. **Ratey, John J. A User’s Guide to the Brain: Perception, Attention, and the Four Theaters of the Brain. New York: Vintage 2002, p.175. ***For more information about the Thinking Cap, as well as the other Brain Gym activities, see Brain Gym®: Teacher’s Edition by Paul and Gail Dennison, © 2010. This movement-based, experiential approach to learning, as well as the 26 Brain Gym® activities, are taught in Brain Gym® 101: Balance for Daily Life, and other Edu-K courses. The photo is © Goldenkb | Dreamstime.com, used with permission. 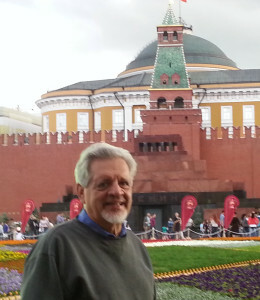 Although I’ve taught in more than 20 countries during the past 35 years, mid-July of this year I experienced my first trip to Moscow. In the 1980s biologist and educator Carla Hannaford of Hawaii first took the Edu-K work to Russia. She was followed there in the 1990s by educators and Brain Gym® instructors Joan Spaulding of Colorado and the late Dorothy H.L. Carroll of Pennsylvania, who taught hundreds of students. Psychologist Svetlana Musgutova, a resident of Moscow at the time, became a Brain Gym International Faculty member and continued to develop the community there for many years. Today, the major leaders of Edu-K once living in Russia have moved on to other locales. So Elena, my sponsor for this trip, requested that I bring my latest thinking to the Brain Gym Instructors and new enthusiasts there. 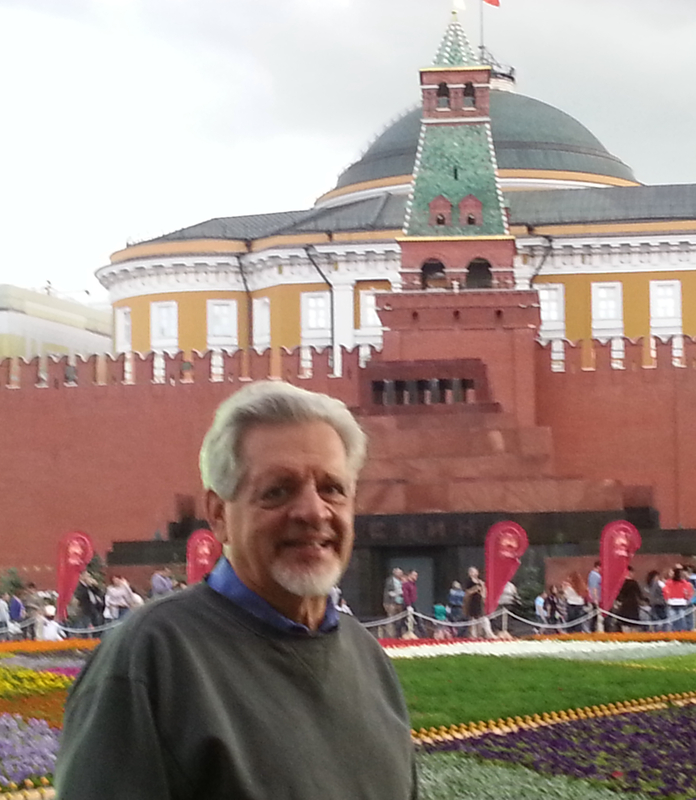 I found Moscow to be a sprawling city with a multitude of beautiful botanical gardens. On my first day there, Elena and her daughter, Knesia (also my translator), took me walking in the beautiful Tsaritsyno, the Queen’s Garden. On day two my dear friend of many years, Renate Wennekes from Germany, a Brain Gym International Faculty member, arrived to co-teach with me. That evening, we four enjoyed dining on the Moscow River cruise ship and sharing stories about our experiences teaching through movement. Another evening Renate, Elena, Knesia, and I enjoyed seeing the rousing Russian National show “Kostroma!”* which includes vigorous Cossack dancing—something I’ve always loved to watch. Yet another time we walked around the city center seeing Red Square and the Kremlin, along with its red walls and towers. I was delighted to see St. Basil’s with its unusual architecture of four palaces and four cathedrals—many topped by golden or multicolored cupolas—which I had long heard about. ** Wherever we went, I met people who were vigorous and robust, and who seemed typical of suburbanites everywhere, busy pursuing their day-to-day lives. For me, the real excitement of this journey began when I gave a public introductory talk at the Alpha Hotel. I noticed a woman whom I’ll call Ruth, sitting with friends in the center front row of the conference room. Through translation during the question and answer period (the participants spoke little English), I learned that Ruth was a 2nd grade teacher who had been using the Brain Gym activities with her elementary school students. Ruth expressed anger and frustration as she asked me why doing the activities hadn’t helped one seven-year boy in her class. This student, she said, refused to read his history assignment because it was on the topic of war. Even after he did the Brain Gym activities, he still refused. I explained that the purpose of doing the Brain Gym activities is not to control someone’s behavior. Instead, it’s to give individuals the tools they need to become . Each of the specific 26 activities teaches a physical skill needed for classroom learning, such as sitting, head-turning, hand-eye coordination, and accurate use of tools—for example, how to best hold a pencil for writing and how to access eye-teaming skills when holding a book for reading. I elaborated that when the stressors around the mechanics of functioning are addressed, the natural mental acuity needed to learn is more available. I told Ruth that I think it’s wonderful for a seven-year old child to feel that he can choose what he will or will not read. This shows an active independence instead of the passive compliance we see in many schools and societies. Ruth nodded in understanding and agreement. The next day, with Renate assisting, I began teaching my two-day course: The Dennison Approach to Whole-Brain Learning. I especially enjoy sharing this introduction to my Edu-K work with teachers, as they recognize the challenges to learning and can appreciate seeing people overcome them. It’s thrilling to watch students as they discover their learning profile and then use simple Brain Gym activities to access the learning midfield and make immediate and significant improvements in reading, listening, and writing skills. One experience was especially meaningful for me. During the opening circle for the course, the participants introduced themselves, again through translation. When I asked who would like to improve their reading, Ruth (from the previous day) eagerly volunteered and told the group that, as a child, she had been told she had a lazy left eye and could do her best with her “good” eye. I had Ruth read aloud. She slowly and precisely read the Russian text left to right, focusing from her right visual field and carefully pronouncing every word. Afterwards, I asked her to say something about what she had read. She could not verbalize any of the content. I checked her ability to track, which requires crossing of the visual midline and seeing in the midfield where the left and right visual fields overlap. She was unable to access this skill. I encouraged Ruth to choose from the Midline Movement category whatever Brain Gym activity she felt called to. Together, she and I did about 30 seconds of Belly Breathing as the first part of the Learning Menu. Suddenly, Ruth joyfully exclaimed: “I cannot believe it; I can see with my left eye again!” We continued the menu by doing the Lazy 8s and the Cross Crawl. As a post-check, I asked Ruth to track across her visual midline and focus in her midfield, which she was now able to easily do. She then read a new text, with ease and fluency. She was able to put the text into her own words without difficulty. I could see that Ruth was able to move her eyes smoothly over the words while listening to herself say them–that is, she was able to think while looking, and so access her comprehension. Although during the course the translation into Russian had sometimes sometimes presented a challenge, I felt that for most of us that day the language of movement transcended any linear thinking. *See a segment of this dance on YouTube. **See our facebook page for a photo book from Paul’s trip. To discover more about Paul’s approach to teaching, see Brain Gym® and Me: Reclaiming the Pleasure of Learning, by Paul E. Dennison, © 2006.